There is by-election fever in certain parts of the country and hence the need to know to use an equipment. Most of us, being from South India have voted earlier using this unique piece of machine and never wondered on its technology. This article focuses on the technology behind the EVMs (Electronic Voting Machines) which are used for elections. The EVMs were devised and designed by Election Commission of India in collaboration with two Public Sector undertakings viz., Bharat Electronics Limited, Bangalore and Electronics Corporation of India Limited, Hyderabad. In 1980, Mr. M. B. Haneefa designed the first Indian voting machine. Remarkably, the voting machine was designed using only Integrated Circuits. EVMs were first used in 1981 in the by-election to North Paravur Assembly Constituency of Kerala for a limited number of polling stations (50 polling stations). The electronic voting machines that we use have two parts: – a control unit and a balloting unit. They are interconnected by a flat ribbon cable of 5m length. The balloting unit enables the voters to cast their votes. Each balloting unit can accommodate 16 candidates. 4 such units can be cascaded and connected to a single control unit. A voter can vote when the ready lamp glows. He can press the candidate button shown against his candidate. As soon as the button press is received the unit produces a long beep sound and the candidate lamp glows. This is powered by a 6V battery. At the end of the polling the close button is pressed and the machine is sealed again. The ballot section on the bottom of the control unit is used along with the balloting unit. As soon as a voter is identified, the officer in charge of the control unit presses the ballot button. The busy lamp on the top of the control unit glows along with the ready lamp on the balloting unit. When a voter casts his vote, the busy light goes off. The total button can be used to find out the number of votes cast at any point of time. At present, an EVM can record a maximum of 3840 votes, which is sufficient for a polling station as they typically have no more than 1400 voters assigned. 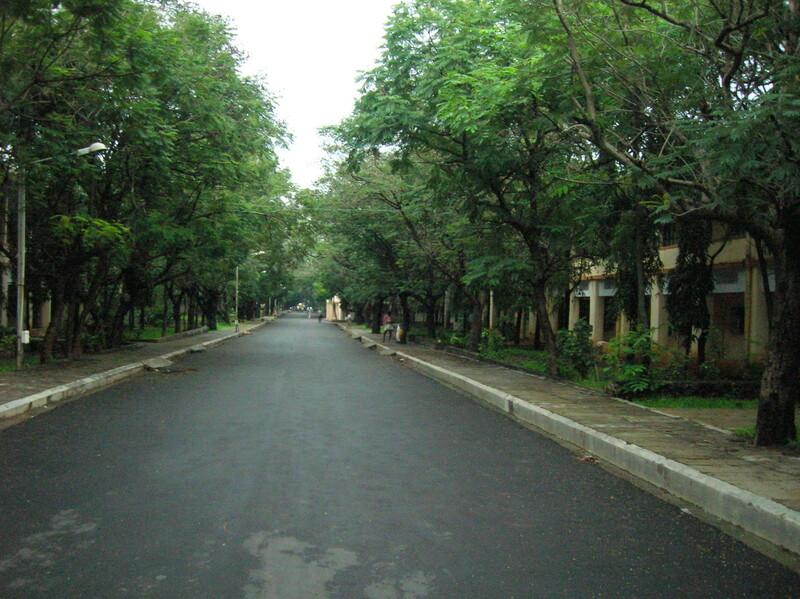 At present, an EVM can cater to a maximum of 64 candidates. There is provision for 16 candidates in a Balloting Unit. If the total number of candidates exceeds 16, a second Balloting Unit can be linked parallel to the first Balloting Unit and so on till a maximum of 4 units and 64 candidates. The conventional ballot paper/box method of polling is used if the number of candidates exceeds 64. It is not possible to vote more than once by pressing the button again and again. As soon as a particular button on the Balloting Unit is pressed, the vote is recorded for that particular candidate and the machine gets locked. Even if one presses that button further or any other button, no further vote will be recorded. This way the EVMs ensure the principle of “one person, one vote”. The EVMs cannot be pre-programmed to favor a party or a candidate because the order in which the name of a candidate/party appears on the balloting unit depends on the order of filing of nominations and validity of the candidature, this sequence cannot be predicted in advance. Further, the selection of EVMs for polling stations is randomized by computer selection preventing the advance knowledge of assignment of specific EVMs to polling stations. It will be easier to transport the EVMs compared to ballot boxes as EVMs are lighter, portable and come with polypropylene carrying cases. The vote-counting is very fast and the result can be declared within 2 to 3 hours as compared to 30–40 hours, on an average, under the ballot-paper system. 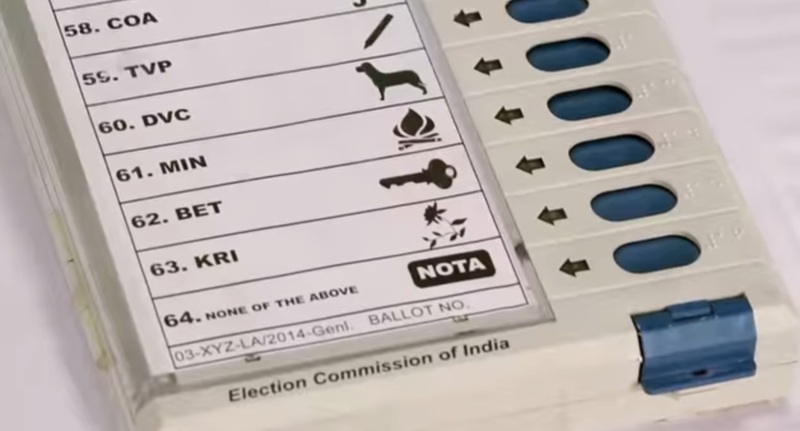 In our country where illiteracy is still a factor hindering development, illiterate people find EVMs easier than ballot paper system, where one has to put the voting stamp on the symbol of the candidate of his/her choice, fold it first vertically and then horizontally, and put it into the ballot box. In EVMs, the voter has to simply press the blue button against the candidate and symbol of his choice and the vote is recorded. Bogus voting can be greatly reduced by the use of EVMs. In case of ballot paper system, a bogus voter can stuff thousands of bogus ballot papers inside the ballot box. But, an EVM is programmed to record only five votes in a minute. This will naturally frustrate the bogus voters. Further, the maximum number of votes that can be cast in a single EVM is 3840. If an EVM goes out-of-order then, the Election Officer, in-charge of the polling booth, can replace the defunct EVM with a spare EVM. The votes recorded until the stage when the EVM went out of order remain safe in the memory of the Control Unit and it is not necessary to start the poll from the beginning. The Control Unit can store the result in its memory for 10 years and even more. The battery is required only to activate the EVMs at the time of polling and counting. As soon as the polling is over, the battery can be switched off and this will be required to be switched on only at the time of counting. The battery can be removed as soon as the result is taken and can be kept separately. Therefore, there is no question of battery leaking or otherwise damaging EVMs. Even when the battery is removed the memory in the microchip remains intact. If the Court orders a recount, the Control Unit can be reactivated by fixing the battery and it will display the result stored in the memory. More than the technology, every MITian must be proud to see our Alma matter in the EVMs. Our beloved senior and Writer Sujatha (Rangarajan) while working in Bharat Electronics Limited,Bangalore is also one of the main members of the team which designed the EVM. This entry was posted in General and tagged election, electronics, EVM, India, MIT, poll, Sujatha, technology, voting. Bookmark the permalink.